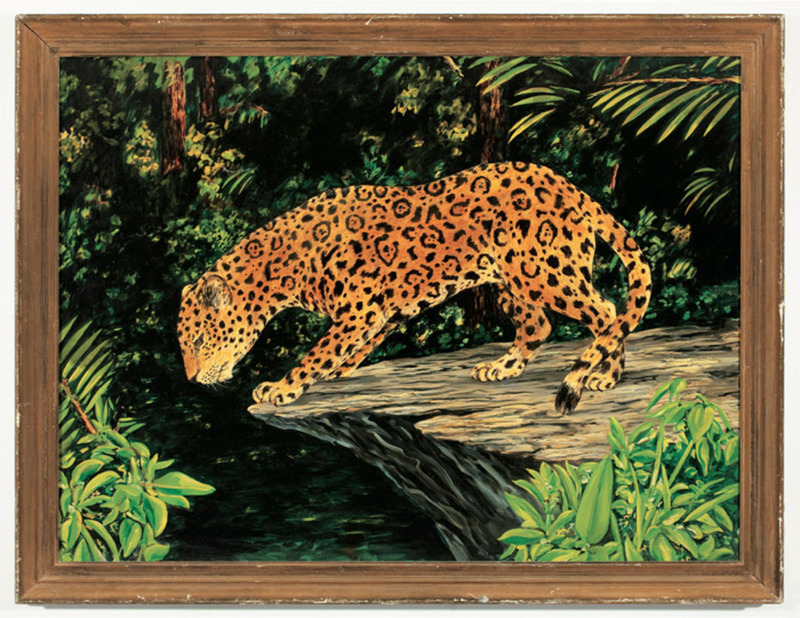 William Leavitt, Jaguar (from “The Tropics”), 1974, oil on canvas, 34 1/4 x 44 1/4". 1 “William Leavitt: Theater Objects” (Museum of Contemporary Art, Los Angeles; curated by Ann Goldstein and Bennett Simpson) Leavitt’s paintings and film-set installations of the 1970s and ’80s show an awareness of the constructedness and fragmentation of Western reality that was way ahead of his time. For example, his paintings can seem curiously lacking in detail, unless you know that he took a cue from prop art, doing the minimum necessary to make the work look like a “real painting” when captured on filma low-res approach that predicted the degradation of image quality that is all around us now thanks to Web 2.0. 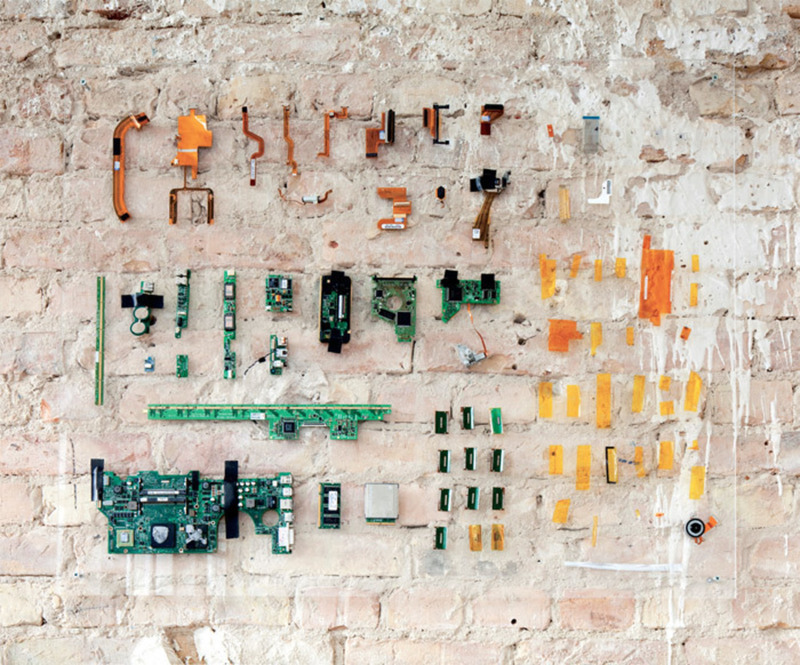 Henrik Olesen, 17“ PowerBook G4 (detail), 2010, disassembled laptop mounted on Plexiglas, two parts, each 39 3/8 x 78 3/4”. From the series “I Do Not Go to Work Today. I Don’t Think I Go Tomorrow,” 2010.